Recorded at Matrixtor and CPS studios between 6/2008 and 2/2009. Mixed by Nino Laurenne (Thunderstone, Ari Koivunen, Amorphis, Lordi, Children of Bodom etc.) at Sonic Pump Studios. Mastered by Pasi Kauppinen at Studio 57. Cover and booklet art by Matti Kuusniemi. 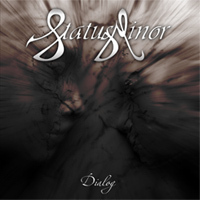 Freshly signed to Lion Music in early 2009, Finnish melodic progressive metallers Status Minor deliver their debut album “Dialog” on September 11th 2009. Home to seven catchy progressive metal masterpieces, this is a debut that is both modern in sound and outlook with a fresh melodic edge mixed with the heavier side of progressive metal, and one that sees guitar and keyboards form a tight yet open partnership backed up by the tight rhythm section over strong rhythms and arrangements. 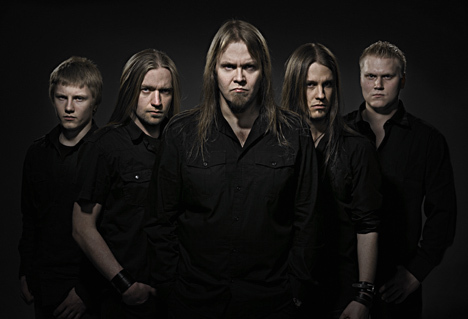 Vocalist Markku Kuikka has a tonality which serves up a darker flavour than the more traditional progressive metal voice, further aiding the bands distinct sound and holds more crossover appeal potential. With their debut album Status Minor have delivered an album that is a strong marriage between song craft and musicianship all enwrapped with a dark edge and overtone. Lyrically the album touches on subjects of human emotions, problems and acts between people. The pinnacle of the album is the title song “Dialog”, an emotionally charged track with a running length over 15 minutes. For the title track the band used voice actors to strengthen the mood which, when blended with the band musical prowess makes for a very satisfying metal experience from this original and highly captivating track. Comprised of five highly competent musicians, Status Minor’s foundations were laid by guitarist Sami Saarinen in 2002, and little by little the line-up evolved to what it is today: Markku Kuikka - vocals, Jukka Karinen - keyboards, Eero Pakkanen – bass and Rolf Pilve - drums. The bands musical roots and influences are wide-spread which helps with the bands creativity, yet the band are able to define their own take on progressive metal with a great deal of adaptability. Having released two promotional international press praised EPs prior to signing with Lion Music, along with a good deal of live performances allowed Status Minor the time to forge their own sound and write songs that have ultimately led to the quality heard on their full length debut album. Status Minor are another band propelling the Scandinavian progressive metal scene onto new heights, and comes recommended for fans of label mates Seventh Wonder and Mind’s Eye along with those of Evergrey and Vanden Plas. • Top quality progressive metal from Finland. • “Dialog” is a incredibly strong debut album from Status Minor. • Reviews in all leading rock/metal press. • Status Minor are available for interview in English or Swedish via phone or email, to arrange your publication/webzines interview please contact promo@lionmusic.com.